 Welcome to Vehicle Decals UK! 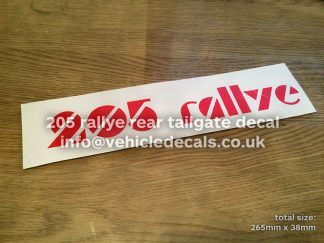 At Vehicle Decals UK, we design and manufacture a wide range of graphics and our own unique products such as discontinued / no-longer-available car decals and stickers, and quirky aftermarket products that you always wish had been made years ago. We also produce hard to find replicas to exacting measurements and specification, which are popular for classic vehicle restorations, rebuilds and show cars. We specialise mainly in all forms of Vehicle Decals, ranging from domed polyurethane resin badges, emblems, exterior weatherstrips and mixed cut-vinyl graphics to unique one-off projects. If there’s something you’re after, get in touch with us and we’ll talk things through and see if it’s something we can turn around for you. Also, head over to our Instagram page (@VehicleDecalsUK) to see a selection of the work we’ve done, and feel free to follow us and tag us in your photos – it’s always fantastic to see the work we’ve done for our customers, and we’ll always add good photos to our image gallery and credit the author. Rest assured that you are buying from graphic design and print industry experts, with first-hand knowledge of the products, with the added benefit of everything being produced ourselves from start to finish. Postage on all our items within the UK is free, and we ship internationally on a daily basis. Most orders are posted out usually within a single working day. 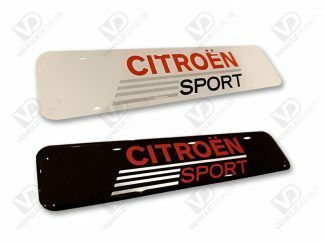 We’re happy to let you know we’ve added our range of Citroen Sport Door Badges, available in Red, white and metallic silver – and also another version of our own which is a dark/black edition badge, in Black and Red. They’re on a premium vinyl, printed full colour with genuine metallic silver printed stripes on the Red & White version! Check them out here! Saxo Camouflage, Stickerbomb & Dried Reeds Door Badges! 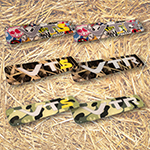 We’ve just added another few types of our iconic Citroen VTS and VTR Door Badges, including Camouflage style, Dried Reeds, and Stickerbomb designs. We always get asked about different styles so if there’s something you have in mind, let us know and we’ll see what we can do. We’ve produced lots of custom styles over the years for customers. 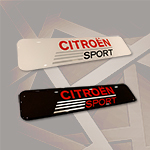 Further to this, we’ve now added a common request in the style of the Dark & Light Grey Citroen Saxo New Morning Door Badges, available to buy here! Check them out in the links above and let us know your feedback! A quick little update this time – and we’ve just added a couple more bits to our Shop, including Vauxhall Corsa D (Corsa-D) B Pillar sets (part numbers 39040722 39040723, 39040724, and 39040725) which you can find here. We’ve also started doing the Peugeot 306 GTi-6 / Citroen Xsara VTS throttle body gasket (part number 1635 C3) and that can be found here. Overdue Update – April 2018! Well it’s been a couple of months since we added an update, and we’ve got a few more goodies now on here which we’re sure you’ll love. We’ve added some more BMW E36 custom Door Badges, including our popular Motorsport International range, with new Blue LTE, Red LTE, and Geometric Striped variants available on the product page here. 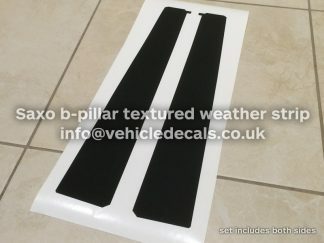 Next up we’ve added by request the Citroen Xsara VTS (3dr) B Pillar Vinyls (OEM part no’s 8665S8 and 8665S9), which are direct replacements for your existing tatty and cracked ones, available in the product page here. We also added some Renault Twingo Sport B Pillar Vinyls (2007-2013) (OEM part no’s 8200637770 and 8200637769) which are up for grabs here. Lastly (for now) we’ve popped a little Peugeot Talbot Sport Inlet Manifold badge up for sale which was a request from a customer and has turned out to be very popular. Take a look at it here! 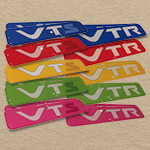 We’ve just published our brand new range of Coloured Citroen Saxo VTS and VTR door badges! We have produced them in a range of colours to suit your requests over the past couple of weeks, and they are available in Blue, Red, Yellow, Green and Pink at present, as well as in the standard styles and our own unique bespoke white styles. The coloured badges are available here and the standard style badges here. Furthermore, you may have noticed we started selling the popular Saxo Red Cup Badges, and you can get them here in our shop!